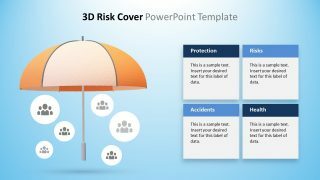 The 3D Risk Coverage PowerPoint Template is an exceptional concept design for insurance presentations. The 3D shapes template uses an umbrella as a metaphor for coverage. Just like an actual umbrella which protects us from rain and sun. 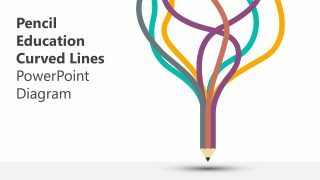 The metaphor illustrates how it provides coverage to people and things. It also suggests the unity as bringing the smaller, relevant agencies together. For instance, the umbrella organization which protects and operates many smaller organizations in a merger. 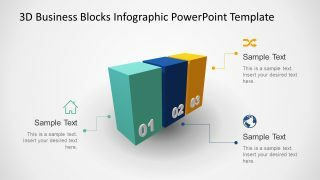 Therefore, the 3D PowerPoint presentation of risk coverage can present mergers, acquisitions along with risk protection. 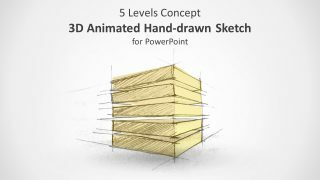 It is a 5-slide PowerPoint showing several layouts with text placeholders. These placeholders enable users to enter the relevant risk coverage information. Such as the pre-design text boxes for protection, risk, accident, and health. 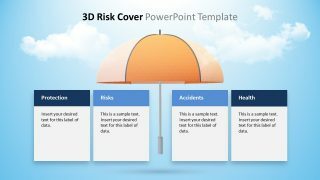 The 3D Risk Coverage PowerPoint Template assists the audience to visually describe the risks and protection plans. The template can benefit the professionals of different industries to explain risk management. The 3D umbrella layout demonstrates the coverage scenarios and optimal solutions with the help of animations. 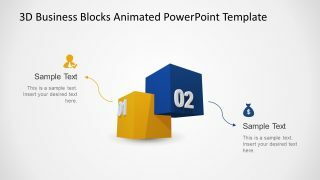 Additionally, the clipart icons showcase the information through engaging graphics. The risk coverage may include topics like life, health, market loss, home, auto and natural disasters. 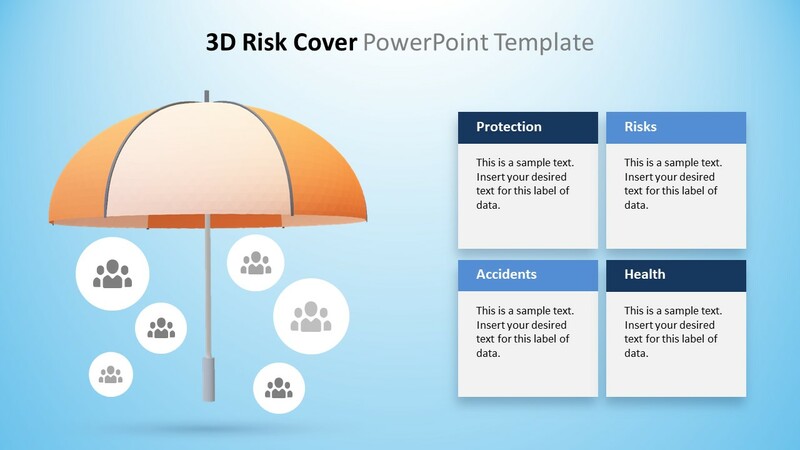 Hence the animated 3D shapes of umbrella portray the all-risk coverage concept of insurance. 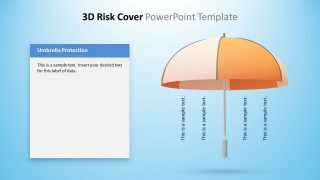 The risk coverage 3D in PowerPoint is a clean presentation of umbrella graphics and clipart icons. The template has a blue background with tangerine and apricot color umbrella. These are fully customizable colors which users can quickly change from background and drawing format. 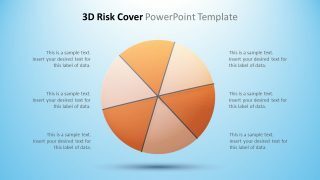 The stunning PowerPoint template of 3D risk coverage has two slides of 4 segment designs. And, two more slides to present topics related to under or upside-down umbrella. 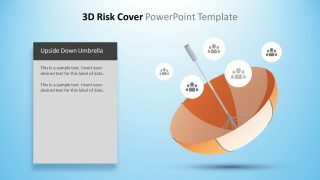 Moreover, the risk coverage presentation also contains a template of 6 text placeholders around the 3D shape of an umbrella.